Closely Coupled: Solar Activity and Sea Level | Watts Up With That? As Nir Shaviv observed, the oceans are a big calorimeter. First, proof of concept comes from a much smaller body of water: Lake Victoria in East Africa. 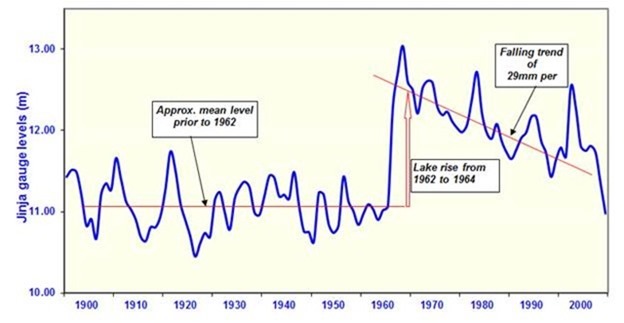 Back in the 1920s it was realised that the level of Lake Victoria went up and down with the solar cycle. Then the relationship broke down in the 1930s, corresponding to the beginning of the Modern Warm Period, before resuming again in the 1970s. Bingo. If we take the change in sea level from one year to the next plotted against average sunspot number for that year, we get a near-straight line relationship. The breakover between sea level rise and sea level fall, and thus warming or cooling climate, is a sunspot number of 40, which in turn corresponds to an F10.7 flux of 100. The average sunspot number over the Holocene was 40 which in turn makes sense of the last half-century of climate. The Earth’s climate was in equilibrium with an average sunspot number of 40, and the higher solar activity of recent years disturbed that. Now we are returning to normal. 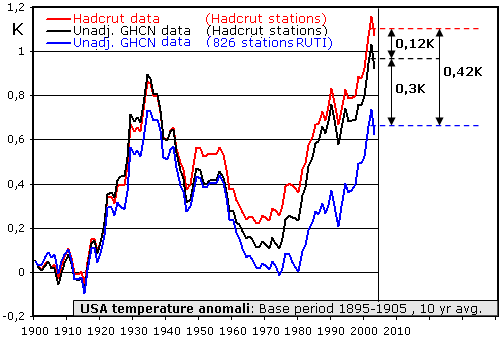 That is from the clown show that is the Colorado University Sea Level Research Group. 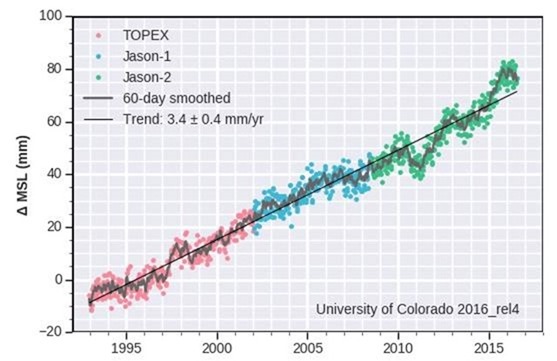 Figure 6, from this paper, shows that sea level, as measured by satellites – the lower line, has been flat. How they generate the graph they need, the upper line, is by adding an isostatic adjustment, which is a number plucked from thin air. No more needs to be said. July 3, 2017 in Sea level, Solar. Whenever I see an actor doing something easy — like pretending to be asleep or dead, I jokingly say “I could do that!”. I had an “I could do that!” moment over this: “by adding an isostatic adjustment, which is a number plucked from thin air”. How much does it pay, and where can I apply? And when do you get out? See, now that is funny. Thank you for the lolz. The link to the paper for figure 6 is broken. Do you have another link and can you please quote author(s) and title? Thanks! I just tried it on Google Chrome and it opens Figure 6, etc. To cite these plots or data, please use: Nerem, R. S., D. Chambers, C. Choe, and G. T. Mitchum. “Estimating Mean Sea Level Change from the TOPEX and Jason Altimeter Missions.” Marine Geodesy 33, no. 1 supp 1 (2010): 435. I can’t get the paper for Figure 6 from the link either, running Chrome on a Mac. rd50, you say that it is from “Estimating Mean Sea Level Change …”. That paper is here. However, it does NOT contain the graphic shown here as Figure 6. Finally, Figure 6 has nothing to do with the Jason/TOPEX satellite sea level as David erroneously claims. Instead, it shows results from the GRACE gravity measuring satellite. OK, I found the paper David cited for Figure 6, and fixed the link in the head post. It is here. That’s correct. Odd chart though. Hmmmmm. If one believes the IPCC, a large part of sea level rise is thermal expansion as the ocean warms. Does thermal expansion change ocean mass or just ocean volume? My top o my head guess would be that it doesn’t.affect mass. Lattitude: For every action there is an equal and opposite reaction. equal and opposite coupled with the appropriate lag time. For every action, there is an equal and opposite grant application. You will be in over your head if the oceans warm enough! Thermal expansion of water increases the volume and decreases the density. This gives rise to some interesting phenomena: when all the water in an ocean is warmer, it is ‘higher’ because it expands, but it is also lighter per vertical metre. It does not weigh more in total, so the gravity anomaly has to detect the change in altitude of the centre of mass. Can it? A radar signal, however, would detect the elevated surface and one could perhaps conclude there was ‘more water’, but it would not necessarily be true. There is only ‘more water’ if it is elevated and not warmer (or some combo, obviously). GRACE is so sensitive that it can detect the change in gravity of water leaving the ground during a drought. If the top of the ocean was warmer and expanded, and the bottom was colder and shrunken, what would GRACE detect? Anything even if there was no SL change? I think only a combination of temperature measurements, GRACE gravity measurements and radar to the surface could yield an accurate picture of actual SLR. Then one would have to factor in the winds that slosh the Pacific, for example, back and forth to the tune of 18″. Many times I’ve heard that the coupling between solar activity and world weather / sea-level / climate / glacier advance-or-decline is just “not there”. Other times, I hear that there is a significant if not strong correlation, especially when one tweaks both data sets a bit for unusual offsets such as the Lake Victoria abnormal +2 m rise in the data above. The point is, that Leif and others proclaim that there IS a strong correlation, and that it takes a particularly cheeky disregard for data nominalization in order to ‘do nothing and thus wash out the signal’. We’ve definitely accumulated instrument-measured data showing the late 20th century has been a period of strong solar activity. This most-recent solar cycle likewise measures on the “weenie” side of solar cycles, as they go. Will the next 10 years bear out yet more potentially time-delayed correlations between weather / sea-level / climate / glacier advance-retreat in turn? And if so, what the hêll is the possible causation between the Sun’s slumbering cycles and the world’s ability to be influenced by it. Or is that theory of high solar wind and low solar wind affording different levels of interstellar / galactic charged particle fluxes at play? Providing an almost-invislbe but macroscopically measurable different of cloud nucleation to change the planet’s albedo, or the propensity of clouds to ‘hit or miss’ being precipitators, and so on? Strong correlations between solar cycle fluctuations and a variety of climatic phenomena have long been observed, such as Asian monsoons. Large difference in the Tropical Easterly Jet between solar maximum and minimum is noticed. Good catch, I’ll pay that. Other studies going back about a century have however found correlations between the solar cycle and rainfall in Asian monsoons and tropical South America, at least. a simple link to changes in temperature and other climate phenomena over time if the suns output does not vary enough to cause the changes directly would surely be the rate of cooling . steady output from the sun warms the oceans to a level that sees a reduction in ice at the poles . as the ice reduces more heat escapes from the poles until the oceans cool enough that the ice begins to expand again,insulating the oceans and reducing heat loss until the cycle begins again. most definitely too simplistic, but that is me in a nutshell. That is a very good question that I also ponder. I’m no scientist, but I do know that water is a polar molecule, which means that is attracted / repelled by electrostatic forces, as I learnt from my 1960’s high school science class, using a charged plastic rod to deflect a thin stream of water poured from a jug. Now, it seems to be a fact that both the solar and cosmic winds shower the earth with large amounts of charged particles (and incidentally that these particles are related to cloud nucleation). IMO it doesn’t seem to much of a stretch to think that these charged particles would also attract or repel water atmospheric vapor sufficiently to have a significant affect on the amount and maybe the location of cloud formation. What I don’t know is stuff like how close the charged particles have to be to deflect the water molecules, or at what density, etc. I have heard many times that the influence of the solar cycles has a 11 years delay on earth?? How do the above graphs correlate if you move the solar input by 11 years?? ColA, the “cycle” averages 11 years but varies, with intervals of up to 13 years. I don’t recall the minimum interval. Changes in the temperature profile of the upper levels of the atmosphere leading to changes in the jet stream? Why do the graphs only go up to 2005? What is the fascination with the period 1948-1987? We are 30 years past that 40 year period. Would be nice to have all of the chosen endpoints justified. Tom, as you mentioned, the Lake Victoria data only goes to 2005 (And I must point out that the description “The relationship [between SSN and lake level] is very clear, in fact beyond indisputable.” is overstating things. The whole middle of the time series is missing. In other words, yes, there is a clear relationship, but only when you remove the data that doesn’t show the the clear relationship.) 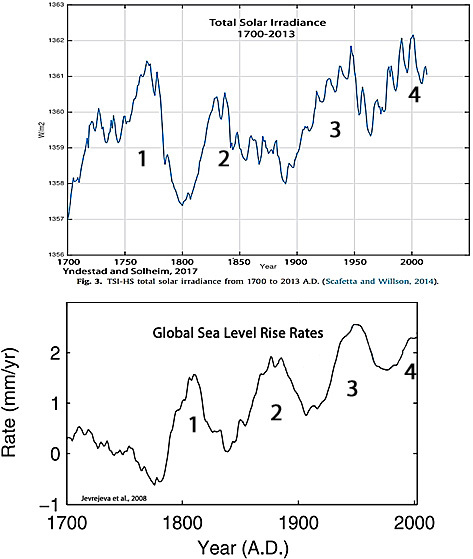 The sea level data shown in figure 3 inexplicably stops at 2000. I wouldn’t base anything on Lake Victoria. link It’s too messed up by human activity. My immediate thought on seeing the jump was “Aswan High Dam”. It’s got the right timing, but seems a stretch, as it is quite far downriver. Still, it marked an era of rapid development, and the two are probably correlated that way. Good suggestion. Waterworks development in general. The only outflow for Lake Victoria is at Jinja, Uganda, where it forms the Victoria Nile. The water since at least 12,000 years ago drained across a natural rock weir. In 1952, engineers acting for the government of British Uganda blasted out the weir and reservoir to replace it with an artificial barrage to control the level of the lake and reduce the gradual erosion of the rock weir. A standard for mimicking the old rate of outflow called the “agreed curve” was established, setting the maximum flow rate at 300 to 1,700 cubic metres per second (392–2,224 cu yd/sec) depending on the lake’s water level. In 2002, Uganda completed a second hydroelectric complex in the area, the Kiira Hydroelectric Power Station, with World Bank assistance. By 2006, the water levels in Lake Victoria had reached an 80-year low, and Daniel Kull, an independent hydrologist living in Nairobi, Kenya, calculated that Uganda was releasing about twice as much water as is allowed under the agreement, and was primarily responsible for recent drops in the lake’s level. With climate science, there is all too much “data” like figure 6. POOMA is so very useful. Is that like Finagle’s Infinitely Variable Constant? The number you multiply your observed lab results by to get the “correct” answer? David neglects to mention that every other altimeter sea level data producer (there are 5 of them) has arrived at pretty much exactly the same conclusion as the ‘clown show’ at CU. We sure do seem to be spending an awful lot of money for state-of-the-art sensors that produce results nobody likes, and so they essentially write over them with data from the old, presumably inferior (or, why would we have invested the resources in the first place?) instruments. Since the solar cycle affects SST, it reasonably also should influence MSL, or at least regional sea levels. The next paragraph naturally pays obeisance to CACA. All the GIA correction is doing is adding increasing error in favour of higher rise. Why not model igneous rocks consuming space in the ocean basins from volcanic activity to balance this bias GIA correction out? Not only is this a very difficult guess to estimate, the guess for GIA is so high it could be closer to 100% wrong. They don’t care about science only getting the desired conclusions already pre-planned. It’s impossible to measure ‘Global Sea Level’, watch this 3 min.video. Oh you don’t need to measure it, you need to establish an anomaly and then adjust it according to theory. Then your modelled sea level supports the theory. No mention of variable Lunar gravitational forces entering into the uncertainty or imprecision of measurement of sea level averages. This is also yet another case of climate scientists ignoring error. While it is a fact that the earth is still adjusting from the loading of the last glaciation, according to the Permanent Service for Mean Sea Level (psmsl.org) the errors involved in estimation are a MINIMUM of 50%. Averaged over the global ocean surface, the mean rate of sea level change due to GIA is independently estimated from models at -0.3 mm/yr (Peltier, 2001, 2002, 2009; Peltier & Luthcke, 2009). … the GIA uncertainty is at least 50 percent. The difference is slopes of the Grace and GIA corrected Grace curves of your figure 6 is 1.66 mm/yr (9.7 mm/5.83 yr). Apparently 1.36 mm/yr of the slope difference is something other than GIA. Quite so. But that 0.3mm/year contribution to SLR uncertainty is insignificant compared with the overall uncertainty with satellite altimetry of oceanic surfaces. The Topex/Poseidon altimetry system only allowed measurement of ocean topography over major basins with an accuracy of ±50 millimetre. Moreover tidal models have a similar accuracy. So charts of global mean SLR using satellite data have mostly been obtained by adjusting satellite data series to fit an expected linear trend, where that linear trend is based on the mean of selected (hopefully representative) tide gauge results. I like to think of the ocean(s) as a gigantic battery. It absorbs heat from sunlight and slowly releases it over time giving the entire planet a nice stable temperature range. Disturbances in the ocean, like El Nino, emit a quick surge of heat, dropping the stored energy level a bit. It follows that an ice age would have weaker or less frequent El Ninos for unknown reasons. Perhaps the ocean(s) discharges a lot of its stored energy with frequent El Ninos for a period of time leading up to an ice age, with the effect of having an unusually warm atmosphere during that period. That might explain why ice ages appear to come on quickly in the proxy data. Regarding Figure 4: Is that 33 years, or from 1948 to 1987? It can’t be both. Methinks the reason both Victoria and sea level correlations break down entirely in the 30’s is more interesting than the otherwise unimpressive correlation. Sea level also correlates with ENSO…somewhat. Ninos have absolutely no right to raise sea level since they add no new energy to the ocean. They just let slowly accumulated warm water spread out. A very reasonable hypothesis is that the unknown forces at work with ENSO also affect sea level. 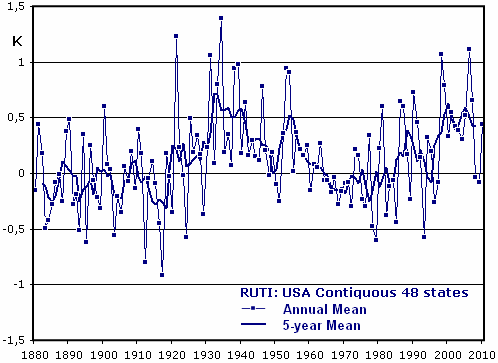 Perhaps they also disrupted the weak influence of the solar cycle on sea level in the 1930’s. The oldest index is the SOI and it only goes back to 1933, but the 30’s were ENSO neutral except for the moderate nino of 38-39. Why are you assuming that the detrended wiggles are due to thermal effects? Eric Worrel pointed out that the 2011 dip was apparently attributed to water retention on land in Queensland after extensive flooding. I would be looking for asian monsoons in that calculation too. Ninos cause flooding here, droughts there…the monsoonal signal would be seasonal. The units are all different. Lake Victoria is meters with an amplitude of about a meter. Archibald is rates if rise in mm/yr with amplitudes of about 5mm. I have no idea what the “normalized values” from Colorado University are. You could figure out how many cubic kilometers of water removed it would take to lower sea level a centimeter and compare that with ninos and monsoons, but I’m not in the mood. When huge bodies of water warm they expand and trade winds cause sea level to increase where they are blown too against coastal lines. During an La Nina cold upwelling ocean water prevents the water accumulating on top and warming, so it therefore is unable to expand. During Ninas there are fewer clouds and the Pacific Ocean is warmed to about the depth of the mixed layer, mostly by visible light. During Ninas the trade winds are strong and they push the warm surface water towards Indonesia, where it languishes in a “warm pool”. These same strong trade winds cause upwelling along the coasts of the Americas AND along the ITCZ in the Pacific. In a Nino, the trade winds take a powder, and all that warm water piled up against Indonesia relaxes back, aided by reaction waves that constantly bounce off the walls of the Pacific Ocean. The problem is that the thermal volume of the ocean depends on the entire profile, from the surface to the abyss. If cold water comes up and tempers surface water, the cold water will expand, and the warm water will contract. It is a zero sum game ultimately dependent on the total kinetic energy of the ocean. Warm water contracts very little under pressure. It’s not a zero sum when cold water upwells that had previously not been warmed as much by mostly visible light than if it stayed there as before. For example if the top 100m were exchanged with the depth 100m-200m, the ocean has gained energy because that new top 100m will eventually recover by solar warming to previous levels it originally was. The more cold upwelling from below the visible light warming range, the greater the volume of water that gains energy that previously would have been stranded in a cold layer, where virtually no solar warming occurs. 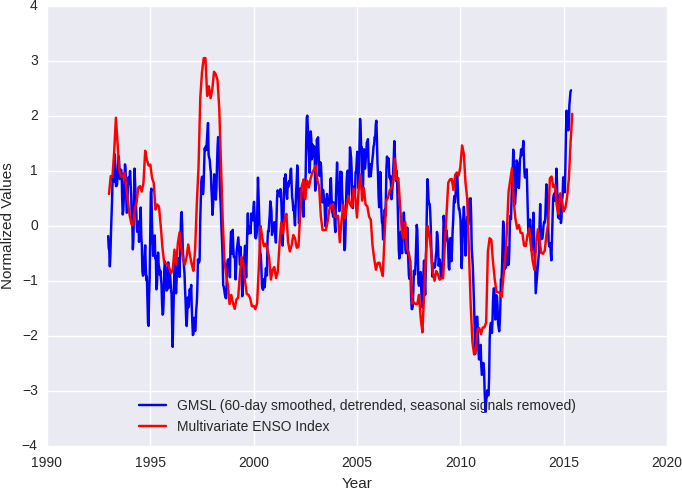 Sea level also correlates with ENSO…somewhat. Yes, the oscillations in sea level around the trend correlate with ENSO, but given enough time those oscillations average to zero. There are several possibilities about why ENSO affects sea level, as it is associated with heat transfers, ocean water accumulation, wind changes, and finally related to changes in the speed of rotation of the planet (measured as changes in the length of day). 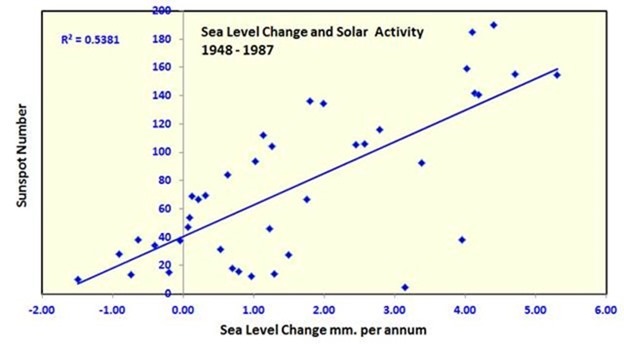 But that still leaves us with the trend which is a clear increase in sea level that also shows a near 60 year periodicity in its rate of increase. This periodicity appears related to the 60 year quasi-cycle observed in many oceanic and sea-ice indexes and well described by the Stadium Wave hypothesis. 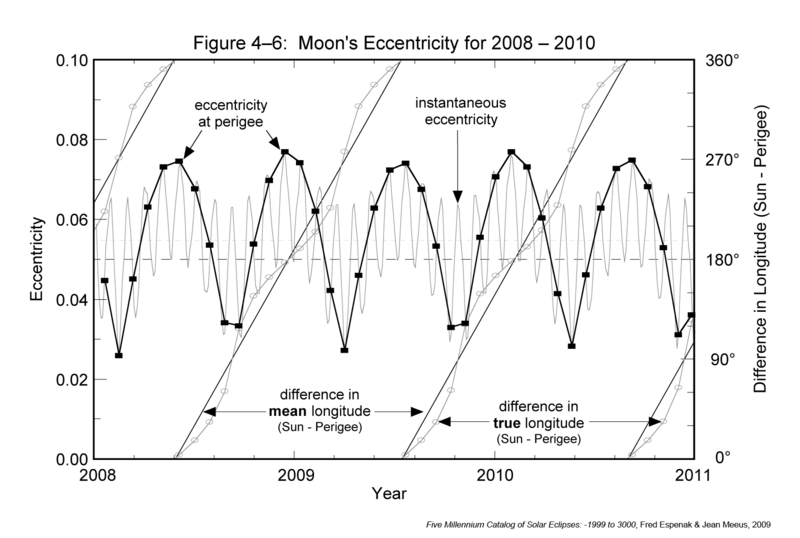 A solar origin in the pentadecadal solar cycle cannot be ruled out, but it is not well supported at this time. 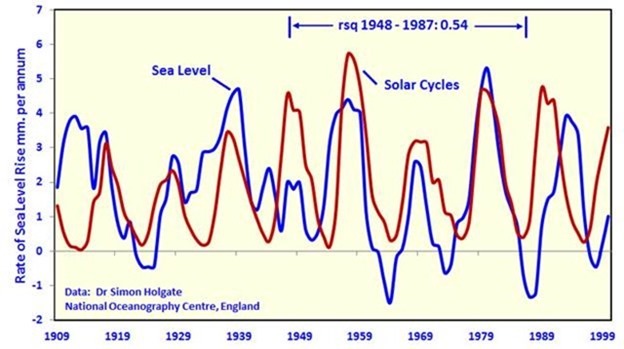 The relation between changes in sea level rate of increase and the 11 year solar cycle are not convincing. I agree with Leif in more things that I disagree. One of the many things that I agree with him is that the climatic effect of the 11 year solar cycle is very, very small. If it had a clear effect like the one David Archibald defends it would have been identified in the data long time ago and accepted by all. If there is no clear effect, then the effect has to be small. This tells us that if there is a clear effect of solar variability on climate, as the paleo record supports, it has to be due to a slow cummulative effect over decades of reduced solar activity. That would explain why the 11 year solar cycle doesn’t have a climatic signature, but the Maunder Minimum has it. You are correct that there is likely a threshold and once below it the climate will start moving very slowly towards a different state that probably involves an atmospheric reorganization. In every cycle the sun will be a few years below that threshold and a few years above it so it won’t affect climate. Only when the number of years below the threshold is much higher that the number of years above it, which happens when the 11-year mean solar activity drops below its long-term average, the climate appears to be significantly affected. The longer the period of low solar activity the more intense the climatic effect through a cummulative effect. This cummulative effect that explains a much higher climate effect for grand solar minima is not compatible with the high effect of the 11 year cycle that David Archibald proposes. It is compatible however with a low solar activity contribution to the 21st century pause in global warming. If the hypothesis is correct the pause should not end until solar activity average is back again above its long-term mean, and the 2014-16 warming due to El Niño should be completely retraced by 2019-20. So at least this hypothesis has testable predictions. The beginning of the 18th-20th centuries correlate with periods of below average temperatures. The beginning of the 21st century correlates to an unexpected pause in global warming. The sun is not the only factor that affects climate or temperatures, but the effect of the centennial solar cycle has been noticed four out of four times. To me it says that the solar-induced Little Ice Age ended in either c. 1840 or 1890. The trend is clearly towards less support for the idea that the modern maximum represents an unusual period of very high solar activity. I can’t argue about TSI reconstructions but the conclusions that I have reached about the relationship between solar cycles and climate variations during the Holocene do not rest or require a modern maximum. They are perfectly compatible with Leif’s reconstruction. It appears that climate effects are observed only towards cooling when there is a prolonged decrease in solar activity, while the absence of cooling that we call “Optimum” corresponds to normal solar activity without periods of prolonged low solar activity. Thus the optima appear when there is enough time without a grand solar minimum, like now. Whence the 60 years? Folks can stand up and sit down in a stadium at many different rates. Everything averages out. Centrifuging the water towards the equator (changing the length of day) will lower the levels towards the poles. Wind can pile up water here, but at the expense of there. Rain in China, drought in the Amazon. Everything seems to reduce to energy. Somehow energy (including potential energy) accumulates and dissipates in the ocean such that sea level becomes a proxy for ENSO, or the other way around. We get to see a lot more Ninos than 60 year cycles. There is at least the potential that ENSO holds the key to cracking the 60 year code. In chaotic systems like climate, the system easily enters into resonance producing quasi periodic variations due to changes in forcings with time and intrinsic delays in the climatic response. Those resonance waves, like the waves in a pond, propagate through the system reaching different parts of it at different times and explaining why they show persistence. The energy of the system enters mainly at the tropical band where insolation is higher, and leaves mainly at the polar bands where there is a clear energetic deficit. What matters is the meridional energy gradient that determines how much energy and therefore work is available for climatic manifestations and to determine the average temperature of the planet. ENSO behaves as an arc that short circuits the poleward transfer of energy by taking the faster and more efficient atmospheric route instead of the oceanic one. You won’t understand ENSO unless you study how it behaved during the Holocene and think deeply about it. ENSO is a manifestation of a cooling planet. It didn’t happen during the Holocene Climatic Optimum when temperatures where higher than now and there was no sea ice in the Arctic during the summers. ENSO depends on a strong meridional temperature gradient and a cooling planet. With global warming and the decrease in the meridional temperature gradient ENSO frequency is bound to decrease. Has in fact decresed. ENSO activity was much higher during 1200-1500 when the planet was cooling, according to ENSO proxies, like Laguna Pallcacocha sediments in Moy et al., 2002. Interesting take on ENSO. My own information is equivocal regarding temperature and ENSO strength. 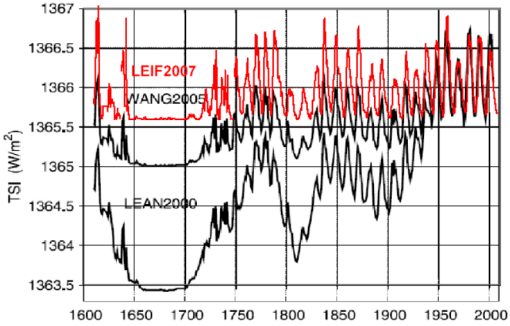 Cobb (2013) found highest ENSO “variability” =amplitude during the little ice age and the present over the last 7000 years. Her data were from drilling coral. Leduc (2009) and Ford (2015) using ODP data found reduced variability at the LGM. Maunder was a stark shift in atmospheric teleconnections, for three sunspot cycles, peak to peak, from around 1672 to 1705, with a very brief respite at the 1686 sunspot cycle maximum. Cumulative effects would be in the oceanic modes, and as fast as an AMO phase shift. TSI variability is a red herring, the drivers would be the solar plasma effects. And what if El Nino increase through solar minima? According to sunspot group number reconstruction, the Maunder Minimum went from 1630 to 1715, and thus lasted about 85 years which should correspond to 7-8 11-year solar cycles. What TSI does show is that these do not represent what global temperatures actually should be at the time because changes within those time lines, never cause global temperatures to become equilibrium. The best example refers to the CET (Central England Temperature) and the Little Ice Age. Although the CET only represents a triangle of locations in one country and not the globe. It still behaves like global temperatures with warming and cooling trends longer term. One interesting observation was the CET kept cooling until the TSI started recovering from the LIA. This means that a ~85 year period was still not long enough for equilibrium to be met. With the likely occurrence that if it had continued, then the CET would have continued cooling further. We could be looking at a period of around 100 years of solar activity to be the same until the planet reaches a equilibrium that scientists could understand, the climate better with especially regards to solar activity. The problem of course being this period is very often longer than average humans life time. From 1645, but the 1650’s and 1660’s were mostly very warm for NW Europe, and annual mean temperatures were mostly back to normal from 1706. The bulk of the cold was through just three solar cycles, peak to peak. The same pattern happened in the Dalton Minimum but for just one cycle, with the bulk of the cold between the maxima of solar cycles 5 and 6, 1807-1817. These were the coldest 30 year periods in the CET finishing before a new decade. Why was a scatterplot and statement of high correlation shown only for a “33 year subset” instead of the whole period for which data was used to make the Figure 3 graph? It’s a bit like CO2 , you see. You have to focus on the segment of the data which supports you hypothesis and cut out the bits ( like the early 20th warming ) which falsify it. It’s basic climatology, where have you been? Problem with CO2 the correlation is almost non existent when compared from human rising CO2 levels. Just matching warm ocean cycles is a massive improvement on this. Only the green section represents a correlation with global temperatures and CO2. That is only 17 years since 1940 out of 77 years. The El NIno 1997/98 and recent blue section El NIno 2016/2017 have nothing to do with CO2, so are not included. The second red period has a century-class El Nino in its beginning and the strongest El Nino after the century-class one is in the blue section. The increase from the 1998 spike to the 2016 spike is manmade via increase of manmade greenhouse gases. Darn, we are definitely fluxed, we are. Looks like similar graphs, on different axis, odd scalings. Why not throw in the “price of wheat”. birth of mice and democrat votes? They may make pretty pictures. All they indicate is a topic of interest. Yes, correlation is possible; but ignorant of the actual mechanism. Exactly what does cause what? 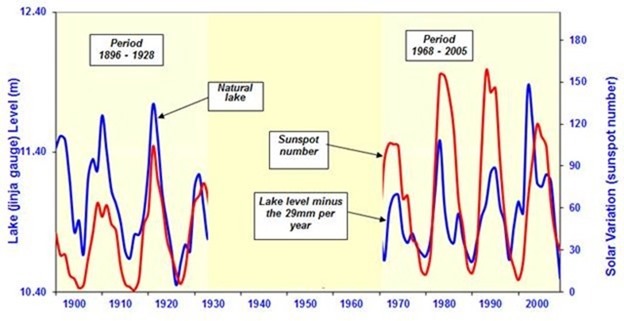 Those sunspots and 10.7 frequency energy do not directly affect lake levels. I seriously doubt they affect sea levels, except by a long indirect chain. A) Identify the actual mechanisms. B) Explicitly explain how the mechanism works. D) Provide examples of replication. Otherwise this article is announcing causation based on personal opinions; must as the climate scammers do. research news by press releases. Yet, there are zero solid research studies defining CO2 explicit proven effects on neighboring atmospheric molecules and surface molecules. Instead there are only assumptions and “models”. Don’t fall into climate team methods. Well firstly David, thanks for taking up the challenge from my comment. Now allow me apply some of that scientific scepticism we are all proud to have. Then the relationship broke down in the 1930s, corresponding to the beginning of the Modern Warm Period, before resuming again in the 1970s. Seems to correlate except for when it doesn’t ? That is a hallmark of someone kidding themselves. What’s the story with figure 2? Is there really a break in the data or are you only prepared to show us the bits that fit your proposed hypothesis? Well I don’t see any “data” here, all I see is three straight lines of questionable origin and not a single data point indicated. Why do you not plot the data so that we can see it and make our own conclusions, rather than those you are trying to impose by your undocumented selection of periods and line fitting. Could we have a link to the datasets you are using ? So you add a tentative explanation but do not address the issues I raised. Like why only show the data which “works” and hide the rest? If you accept that kind of presentation you will see the “correlation”. You presumably also accept the CO2 correlates with global temps, if you ignore the first half of the 20th century and the late 19th cooling. Just reading the patterns myself. Ask yourself…What happened between the late 1930’s and the late 1970’s? … and your point is ? solar activity was at its highest in the 50s and 60s, so that is a bit of a problem for the alleged correlation. My point is that whatever process/cycle (AMO/PDO etc.) occurred to turn the warming of 1910 – 1930 into cooling from then until the later 1970’s might have had some effect on the correlation. Unfortunately the time of no correlation isn’t presented to make any type of determination. But correlation seems to be strongest during the warming phases. Thanks for making a clear statement Bryan. I agree with most of that. But if you have to cherry pick to find a correlation it probably means you are falsely identifying the cause. If the major cooling event has to be removed ie “hide the decline” then the idea that there is a strong correlation and the solar variations are the primary cause of temperature and sea level variations become highly suspect. Unfortunately David Middleton has done copied most of the mistakes and one-sided pseudo-science that mainstream climatologists have been doing for three decades to establish that CO2 is the primary driver. I don’t find it any more convincing now he claims it’s the sun. Can you state what sea level dataset was used to come up with Figure 3? Yes, this article is very weak without any proper citations of what the datasets actually are. Links to data would also be much better. Figure 3 is another case of works, except for when it doesn’t, correlation. This is not actually surprising because the PDO changed from positive to negative and brought about global cooling. The Pacific shift then occurred in the late 1970’s and the PDO changed from negative back to positive again. Ocean cycles have different influences on sea level and regions of upwelling. These ocean cycles also hide solar influence when they cause more upwelling cold waters towards the surface during negative phases. What has been shown this relationship only matches with positive ocean cycles that cause warming. Or maybe it’s a false correlation or only half the story. If the ocean is a giant colorimeter, why isn’t the PDO driven by sunspots too? You should also remember that PDO is just the difference between one region of N. Pacific RELATIVE to the global mean. It is not a direct temperature index. Not forgetting the AMO and probably have most of the story. The ocean has circulations that last months, years or numerous decades to complete. The PDO and AMO are based on changes via these over decades and have no noticeable influence from solar activity at least during one short full ocean cycle (60+ years). Upwelling cold ocean water towards the surface has little influence from solar activity so it distorts the trend. The PDO difference when positive are conditions that favours El Niño’s to form so that’s why it is significant to the global mean temperatures. Rate of global sea level change from satellite data: error bars required. Solar (not necessarily cycles) influence on the regional climate change (since there is no global climate, it follows that global climate change is a non-existent abstract) at the current state of science can not be conclusively proved or disproved. And finally, the so called ‘climate science’ is a more rhetorical exercise ‘in order to produce an effect or to make a statement rather than to elicit information’. This understates the case rather dramatically, not sure if understated for effect or what. The IPCC and the CAGW bandwagon have been on a systematic campaign to obfuscate, rather than illuminate. Wherever information contradicted or cast in doubt the idea that CO2 level was the thermostat of the atmosphere, it has been altered, denied, lied about, covered up…whatever could be done by hook or by crook. The global warming sc@m has eliminated any possibility of discovering, confirming, or refuting anything with regard to the historical temperature records and any correlations or lack thereof with other physical geographic parameters. Since sea level shenanigans are also a part of the ruse, this data has been likewise corrupted. Trying to sort it all out now is not just more difficult, it is by design impossible. There is no way to know what is real and what is made up. What all of this amounts to is giant crime has been and is being perpetrated on all of the world and on the accumulated knowledge of several fields of inquiry. IMO, people need to go to jail…lots of them. The average sunspot number over the Holocene was 40 …. IIRC sunspots were first recorded in 1662, are you sure that your Cromagnon observations are compatible with the Wolf group number ? Seriously you can’t just make stuff up. What is this Holocene record you are referring to? Links, data, citations. Cro-Magnons predate the Holocene by more than 30,000 years. The first written record of sunspots was made by Chinese astronomers around 800 BC. Court astrologers in ancient China and Korea, who believed sunspots foretold important events, kept records off and on of sunspots for hundreds of years. English monk John of Worcester made the first known drawing of sunspots in December 1128. Soon after the invention of the telescope in 1608, several astronomers used the instrument to observe sunspots. They weren’t at first quite sure what to make of these spots on the Sun, which is why I guess you reference so much later in the 17th century. Thanks Gabro, the Cro-Magnons comment was tongue in cheek , not seriously historical. Thanks for the other info but sporadic and dissociated observations from different civilisations are not going to enable an assessment of a Holocene average and 800 BC is hardly the beginning of it either. So my question stands about what the heck the Holocene average = 40 bit was supposed to represent. Number of authors, including Dr. Joan Feynman, sister of Richard (https://www.nasa.gov/vision/earth/lookingatearth/nilef-20070319.html) have written about the Nile’s floods ‘correlation’ to the sunspot activity. Here is an ancient Egyptian carving from time of pharaoh Akhenaten, where the sphinx appear to be observing sun with an object (possibly smoke darkened piece of glass) in one hand and some kind of ‘reference’ records in the other. 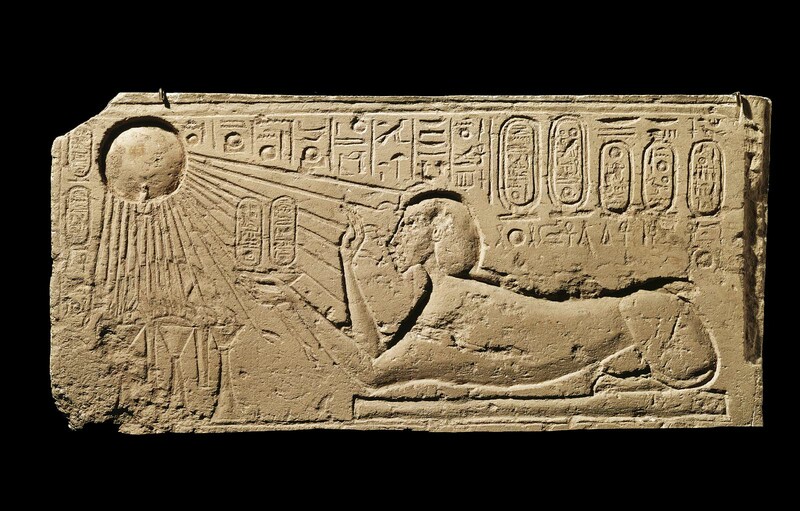 Akhenaten (Akhen-aten, aten is name for the disk of the sun in the Egyptian mythology) lived around 1350 BC, instituted new religion of the solar disk worship. By 1500 BC Phoenicians mastered casting of glass, thus it is possible that pharaoh Akhenaten had access to it. btw. In early 1960s I, as many other school kids not having appropriate glasses or filters, observed a total solar eclipse through candle darkened pieces of glass. The Holocene sunspot average is derived from a variety of proxies, to include 14C and 10Be flux. Thanks for the image of that carving, very interesting. He definitely seems to be holding some kind of observation tool, more complex that a flat plate of glass. I had not noticed the “sunspots” since there are similar blemishes all over the carving. It would need very careful inspect to say whether there were intentional marks on the sun and that these are not just knocks and marks which appear everywhere. Interesting idea to look into. I was mistaken about him holding a larger object : it is the little flame on the end of each ray which is typical of these representations. Also there are several engravings which seem to relate the same event and posture and the upper arm is cupping with the lower arm and probably not holding anything in front of the eye as it may appear in the first image. However, there are some more definite marks on the sun here so possibly sun spots were known at that time. Neither do you need a lens or glass. You can project an image of the sun in a dark room with a pin hole in paper. Larger sunspots would be visible in such a projection. If we take out the period of non-correlation … [t]he relationship is very clear, in fact beyond indisputable. Gosh, you mean that if you remove all of your data that isn’t correlated, you can get “beyond indisputable” correlation? PS—Here’s a rule of thumb for the lurkers. If someone says their scientific results are beyond question, it usually means the exact opposite. Results in science are always subject to further dispute. What is the actual reason for the cause and effect between solar and sea level? That is the key question. Is it due to water expanding during warmer times? Is there a strong corration for many decades between a) solar sun spots b) global temps, or c) the F 10.7 flux? Doesn’t it take 800 years of ocean warming to show signifant degassing of CO2? Why instantaneous feedback for solar and sea level changes? Seems to me establishing whether there is correlation would come. Hasn’t been done yet by the by. The numbers given are wrong, and there’s no explanation of the mechanisms. The sea level and sunspot number data used should be linked, and F10.7cm, and the irregular phasing of SL wrt SA explained. How the Holocene average sunspot number of 40 was derived isn’t specified; is that in v2 numbers? The 1749-2017 v1 and v2 SSN averages are higher. v1 is 52, v2 is 83. 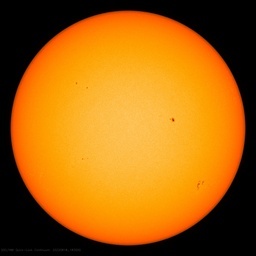 Equating the sunspot number of 40 to F10.7cm of 100 sfu isn’t supported, and it’s wrong. Monthly F10.7cm of 100 sfu, binned at 5 sfu equates to a v1 SSN of 47, and v2 of 66, not 40 in either SSN version. All my regression models indicate the same thing: F10.7cm @100sfu is not equivalent to SSN @40! I work says HadSST3 warms/cools at an F10.7cm of 120 sfu at decadal scales, not 100, at a v1 SSN of ~65 and a v2 SSN of ~90 (statistically). How they generate the graph they need, the upper line, is by adding an isostatic adjustment, which is a number plucked from thin air. a GIA correction of 1.7 mm/yr following Tamisiea et al. (in press). accounts for the rotational effects. Here we use this value. You’ll have to point out exactly where you think they were wrong in that calculation. As my quotation above from the actual paper proves, there is almost always more that needs to be said … and trying to claim otherwise is a vain attempt to close off further objections. Science or fake science? Where there is a will there is a way. It is asserted that there is both climategate and Seagate. The mean of all the 159 NOAA sites gives a rate of 0.5 mm/year to 0.6 mm/year (Burton 2010). A better approach, however, is to exclude those sites that represent uplifted and subsided areas (Figure 4). This leaves 68 sites of reasonable stability (still with the possibility of an exaggeration of the rate of change, as discussed above). These sites give a present rate of sea level rise in the order of 1.0 (± 1.0) mm/year. This is far below the rates given by satellite altimetry, and the smell of a “sea-levelgate” gets stronger. When the satellite altimetry group realized that the 1997 rise was an ENSO signal, and they extended the trend up to 2003, they seemed to have faced a problem: There was no sea level rise visible, and therefore a “reinterpretation” needed to be undertaken. (This was orally confirmed at the Global Warming meeting held by the Russian Academy of Science in Moscow in 2005, which I attended). Exactly what was done remains unclear, as the satellite altimetry groups do not specify the additional “corrections” they now infer. In 2003, the satellite altimetry record (Aviso 2003) suddenly took a new tilt—away from the quite horizontal record of 1992-2000, seen in Figures 5 and 6—of 2.3 (±0.1) mm/year (Figure 7). As reported above regarding such adjustments, an IPCC member told me that “We had to do so, otherwise it would not be any trend,” and this seems exactly to be the case. This means that we are facing a very grave, if not to say, unethical, “sea-level-gate.” Therefore, the actual “instrumental record” of satellite altimetry (Figure 10) gives a sea level rise around 0.0 mm/year. This fits the observational facts much better, and we seem to reach a coherent picture of no, or, at most, a minor (in the order of 0.5 mm/yr), sea level rise over the last 50 years. In the last 5000 years, global mean sea level has been dominated by the redistribution of water masses over the globe. In the last 300 years, sea level has been oscillation close to the present with peak rates in the period 1890–1930. Between 1930 and 1950, sea fell. The late 20th century lack any sign of acceleration. Satellite altimetry indicates virtually no changes in the last decade. Therefore, observationally based predictions of future sea level in the year 2100 will give a value of + 10 +/- 10 cm (or +5 +/- 5 cm), by this discarding model outputs by IPCC as well as global loading models. This implies that there is no fear of any massive future flooding as claimed in most global warming scenarios. This is backed up by extensive photographic evidence, which shows sea level as seen in pictures from numerous sites around the world, 100 years ago and more, was indistinguishable from current levels. On top of that, textbook accounts of sea level from several decades ago tell a far different story that what we see and hear now. I am not even sure i would trust the tide gage data…it states that the curves have seasonal variations removed…which does not sound too bad, until one realizes that they are plainly stating the tide gage charts are not raw data at all, but forced through some model or other. It is also very interesting to note the almost complete lack of any trend at all from tide gages located on islands in the central Pacific. Trying to discern trends and correlations from altered data seems to me to be the ultimate fools errand. Not that anyone in particular is a fool, but we have all been played for fools. In my personal life, I have noted that when a certain person is found to be dishonest, either a liar or a thief or whatever, it makes no sense to try to delineate the limits of the lies or the thievery…one can never be certain. We are beyond casual lies or small deceptions here…this is gaslighting on a scale that is difficult to fully come to terms with. We all find ourselves using this information…trend charts and the like…knowing they are altered, but having to use anyway. It is worse than a tangled web…it is a Gordian Knot. 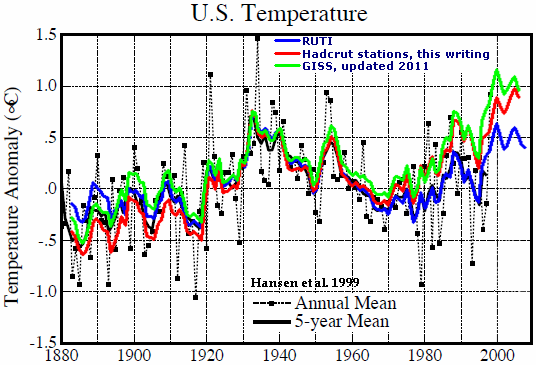 The US has been cooling, becoming less hot, for over 100 years…I am increasingly unable to convince myself that it should be supposed the whole world has gone the other way. It could be argued that “modelling assumptions” are a form of air plucking. i seem to recall someone, and I think it may have been you, mentioning that some charts of water depths that are very accurate might be used to compare estimates of sea level rise from the various sources to what can be determined by actually measuring the depth of the water and when boats will and will not run aground. If so, have you ever compiled results obtained by comparing old charts and newer ones? I thought at the time that it seemed like an excellent idea…those charts are detailed and very accurate, by necessity. where MC(melting) is the mass change of the ocean due to melting ice caps, and TE is thermal expansion (change in volume per unit mass from ARGO), and GIA(GRACE) is a large uncertain correction factor (1-2 mm/yr) applied to GRACE data due to the change in the rotating center of mass caused by melting ice caps. (For simplicity, all of these quantities are converted to the equivalent in mm of ocean height, even though they are called mass or volume.) However, consensus scientists use a different definition, which I will call SLR(IPCC). SLR(IPCC) includes a correction for GIA. This glacial isostatic adjustment, GIA, is also due to the changing center of mass and rate of rotation, but it is much smaller, 0.3 mm/yr, when applied to SLR data (instead of GRACE data). Scientists want to prove to policymakers that they can “close the sea level rise budget”. The only thing the public needs to know is SLR(obs), the rate at which tide gauges – located where people live – show sea level rising. Individual tide gauges contain a signal for local land motion and are extremely noisy (requiring a period of 30-50 year to get a good signal to noise ratio). Nevertheless, this is the rise people are experiencing. The rest is scientific handwaving intended to prove that scientists quantitively understand why sea level is rising. Satellite altimetry may or may not be a better way of measuring SLR(obs). 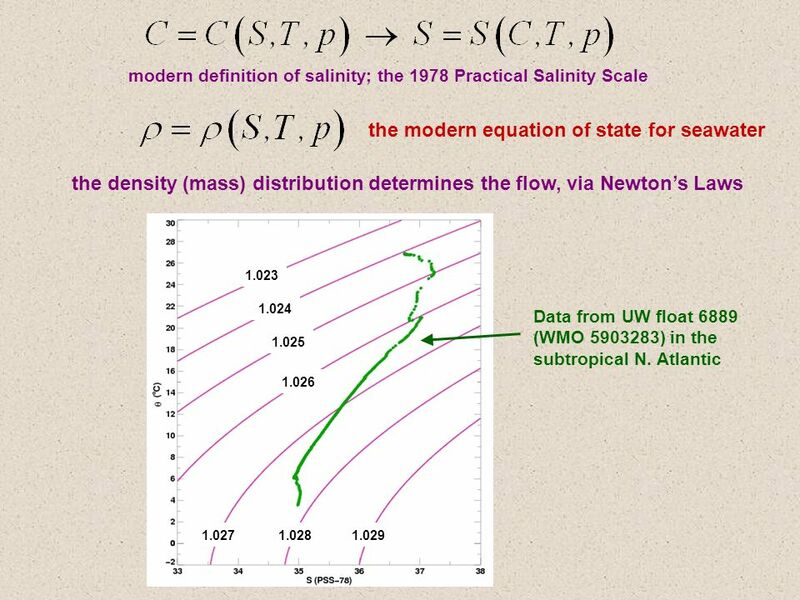 Converting satellite altimetry data into sea level rise is an extremely complicated process that requires calibration, because the drift in satellite orbit height is about 1 cm/yr. The shift in SLR about 2000 that Morner complains about arose when reliable methods of calibrating satellite orbits began to be used. (If you read the IPCC SAR on satellite altimetry, you will find that scientists didn’t know what to conclude from the data at that point in time.) The advantage of satellite altimetry are that sea level is measured in millions? of locations every day, providing a trend with a reasonable signal-to-noise ratio for periods as short as a decade, and it eliminates local land motion. The mass change in Greenland and Antarctica measured by GRACE is the result of melting and glacial isostatic rebound of denser rock underneath the ice. The mass of rock that is rising under Greenland, GIRB(G), and Antarctica, GIRB(A), is equal to the mass of the sea floor that is dropping around Greenland and Antarctica. To distinguish this type of glacial isostatic adjustment from adjustments mentioned above for rotating center of mass, I will call them GIRB where RB is for rebound of land with a lower loading of ice (including none in some places) AND and subsidence of an equal mass at the bottom of the ocean. GIRB lowers sea level. I’m not sure how consensus scientists account for the net global subsiding sea floor. To the best of my knowledge, the consensus don’t apply a global GIRB correction to SLR. This potentially allows them to inflate MC(melting) by assuming a large amount of GIRB(G) and GIRB(A), without having to properly account for it in terms of the subsiding sea floor. Most of your comment has merit. Why would land below Greenland and Antarctica be rebounding? Both still have incredible weight of ice. Without a definitive prior to Holocene ice height knowledge; any assumptions are based on bias, not knowledge. For that matter, now that the glaciers have been removed from surrounding Greenland and Antarctica; why would that land subside? Is there some mechanism for glaciers to raise landform? Claiming knowledge that “mass change” is caused by glacial isostatic rebound, under huge glacier masses borders on religious belief. Don’t forget, many of those NOAA scientists have denied and still minimize volcanism under Western Antarctica. If human activity be affecting sea level, it’s more from pumping ground water and from impounding and using surface water than from adding a fourth molecule of CO2 per 10,000 dry air molecules. There is no Fig 6 in that paper. I presume you mean Fig 1, as illustrated. That isn’t a graph of sea level. It is a graph of ocean mass. A large part of the sea level rise is due to a change in density. You are correct that is it labelled as ocean mass but look at the units on the y axis, and the GAIA correction is given in mm/y not mass units. I have yet to hear even an attempt to explain why anyone should accept whatever result is spit out by that convoluted processing of data from satellites, over the number read from a steel pole anchored to the sea floor that has been fixed in one spot for a very long time. Or why the pictorial evidence and direct physical evidence regarding the proximity of the sea to fixed structures and landmarks should be ignored. You said, “From that data, a 33-year subset from 1948 to 1987 has a high correlation:…” An R^2 value of around 0.5 says that about half the variance in the dependent variable can be predicted by the independent variable. So, after you remove the very poorly correlated data, you still don’t have anything that is much better than flipping a coin to predict what will happen, particularly if you have a run of heads or tails. Obviously, I don’t agree that an R^2 value of 0.54 indicates a “high correlation.” It is higher than zero, but only marginally better than a random positive trend. Wow. Impressive. This post is so scientifically relevant that no-one that knows anything has even commented yet. Well I know a lot more than David about look for correlation. Oddly he has not replied to any of the criticisms yet. Opps. I missed Nick Stokes. But he is just asking a question that would be embarrassing to answer. So changes in sea level causes solar cycles. I doubt that the solar cycles caused by changes in sea level are at all dangerous to the existance of the Sun. I strongly doubt that our sun will go supper nova because of sea level changes here on Eartn. The NOAA’s 10-day satellite uncertainty (three to four millimeters) is three times greater that the NOAA tide-gauge annual average. I’m pretty sure 97% of climate scientists think it’s worse than we thought. We will be boiled aliive as we drown. Possibly, maybe, probably almost certainly within 6 months to a acentury. If it falls below zero, as it did after the 1999 super El Nino, then CACA should be doomed. But more likely, UAH will come under renewed attack. By a slender margin. It was 0.23C in March (given as 0.19 at the time) and 0.27 in April.. And all are still well above the 1981-2010 base. Is +0.21 really “well above” the baseline? The lowest monthly anomaly was -0.51 in July 1985 (I think). The highest was 0.83 in February 2016. The average of those two data is +0.16. We’re cooling off from a super El Nino. If UAH observations stay above the baseline for the rest of this year and the next, then maybe slight warming will return. But still far below model outputs and not in the least bit dangerous. Gabro, things could get interesting… All Gaia has to do is sneeze and it’ll have all the warmists in a tizzy. CACA is a political construct, which will be slain only when the spigots are turned off. Construct, as in Frankenstein’s monster. So in Figure 2, you “take out the period of non-correlation”, 1/3 of the data, then “detrend afterwards” for another 1/3 of the data, but then claim “The relationship is very clear, in fact beyond indisputable”, and you are not laughed off the field? C’mon, do I need to spell out what kind of science this is? what do the contours represent. Out of context and poorly labelled this is not very informative. Are you suggesting that 5 degrees warming at the equator and 5 deg. cooling in arctic, will have a large enough differential in expansion to be measurable? How about a back of envelop calculation to support that? Greg, it appears that michael hart is off involved in real life. It happens. To answer your question, the contours represent lines of constant density. Temperature makes sea water less dense. Salinity makes sea water more dense. The lines are where the two counteract each other to give constant density. As to whether it is what I call “a difference that makes no difference”, your intuition is correct. Consider that over the satellite era of 1993-present the sea level has risen by something on the order of say 50 – 75 mm. From memory, the amount due to oceanic warming is around half of that, call it 25 to 40 mm or so. So what. Can’t prove any hard science this way. However statistically significant, any result is only a statistical correlation with actual data that looks for correlation using a numerical model – and tries to enforce it in the case of CO2 as a variable. No controlled experiment is possible to isolate and prove deterministic laws of cause and effect in a repeatable way. More relevant, all this effort is inside the noise compared to actual range and natural periodicity, and there is nothing anyone can do that the plants are not already doing about that, as they alway have. (Except make a lot of money promoting fear of the unknown and selling bogus snake oil solutions). Next event is the next ice age as we approach the end of this interglacial, in a hundred or so short human lifetimes, perhps. Nothing to see here. Sorry to disappoint. So what. Can’t prove any hard science this way. This is a claim that statistics is meaningless and cannot be used to establish facts. Consider the question of a pair of dice. We roll them a hundred times. Out of the hundred times we throw snake-eyes (two “ones”) sixty seven times. Are the dice loaded, or are they unbiased? So yes, correlation is NOT causation … but causation IS correlation. So establishing correlation is a NECESSARY but NOT SUFFICIENT step to establishing correlation. Similarly, IF there were a correlation between sea levels and sunspots, the causation WOULD BE clear. However, there is no such correlation AFAIK, despite studies claiming that there is. In general the authors have not adjusted for (a) autocorrelation and/or (b) periodicity in their calculations of statistical significance. Most certain prediction is Sea level will fall 300 feet over the next 80K years or so as our now quite long interf glacial warming winds down. Pr: >0.99. Happened every 100K years, each MIlankovitch extreme eccentricity, for 5 cycles at least. It will fall. not much on a planetary scale, not a disaster except for those wh fail to prepare over generations. Result? 300 Foot bleached Coral hills Ozzies can walk to and admire, and Brexit will be pointless, as they can all walk here. Actually we will have to walk there across Doggerland, probably armed to invade a part of Europe, but stick around on the Cote d”Azure, as all of Northern UK down to St Jonn’s Wood will be under glaciers, as will Scandinavia, Canada, Russia, etc. What is amazing is the very close temperature range this happens within, +/_ 12 degrees or so, the periodicity is a smoking gun, but the causal effect still unclear. What seems clear is the ice age is Earth’s natural state now, but it gets a large disruptive enrgy input every 100K years, then cools gradually back to the next impulse. How do 70 x 10^24 Joules get into the oceans in 1,000 years to create each short interglacial – what we are now in , towards the end of in panetary tome, few more 1,000’s of years? As solar radiation evens out plus and minus during an eccentric orbit I think the cause must be a quite dramatic increase in vocanicity, which is anyway heating the deep oceans all the time, triggerred by the 30% pa variation in gravitational stresses on our very thin tectonic plates siding on the majority soft/molten core, but it still needs A LOT of Magma through holes in the ocean floor, even at 1200 degrees. Just think what Solar gravity, 200 times the Moon’s, can do to thin 7 km crustal plates, floating like the skin on a 12,000 Km ball of soft rock pudding, though…. things are not as “most people” think they are. Which is why ‘most people may not get through the Great Nuclear Migration Wars of the next ice age onset, as ignorant belief and political corruption for short term human lifetine gain of short term humans failure to plan for this event over thousands of years will triumph over doing the right thing on the real facts over generations, as it already has with “climate” change”, beinf g amde worse by renewable laws, tackling a phony cause. But that’s another story. Oceans will fall, 100 metres over 80K years. We can stop worrying about it for a bit and do something useful for others. IMO. The Holocene so far hasn’t been a particularly long interglacial. The previous one, the Eemian, lasted 16,000 years and was hotter. The interglacial of MIS 11 was a lot longer. If you go by axial tilt, the Holocene has about 3000 more years to go. If by eccentricity, then more than 30,000 years. Doesn’t mean however that the next cool cycle won’t necessarily be colder than the LIA. Your graphs actually support no correlation between solar irradiation and sea level rise rates. It moves from high negative correlation around 1800 to positive correlation towards 1950-2000, showing that the periodicity is not the same. Figure 9 from that paper shows October-December and March-May rainfall anomalies 0-1 year before solar maxima. The extent of the anomalies over Africa likely explain the Vaal River flow cyclicity highlighted by W Alexander, as well as Nile River flood cyclicity. Hmmm. In regards to figure 6, I scanned that paper you cited and it references a 1mm/yr to 2mm/yr GIA adjustment factor. I read up on the GIA and I’m not sure why it’s even a thing. Essentially saying because the Earth’s crust changes over time the absolute sea level doesn’t matter just the adjusted relativistic sea level matters? And then to confounding this strange correction, the below link says to use an approximate 0.3mm/yr which in of itself carries a 50 percent uncertainty. So I’m not sure how this strange but marginal change in Sea height correction is equating to 2mm/yr. Dr. Archibald, a question for you. What do you make of the sunspot cycle correlation with Great Lakes water level, especially the positive correlation before approximately 1940, and the negative correlation after that date? Very interesting post above about Lake Victoria. Although correlation factor r appears to be very low (statistically insignificant) the visual comparison is more compelling. INMHO it shows that there is some key other factor, not just simply a coincidence. (‘nature abhors coincidence. it is driven by cause and consequence’- vukcevic). I took a quick look at some of my graphs, there is no obvious analogy elsewhere, the answer might be far too difficult to extract from what is currently known. However, there might be a pointer in data for the rate of Earth’s core rotation as derived from geomagnetic measurements. Green line shows that the Earth’s core rotation changes its direction from slowing down to speeding up around 1940. Thanks, Vukcevic. i’m not as persuaded as you about the absence of natural coincidences. I have seen quite a few. I’m also of the opinion that what we now see as unexplainable coincidences may one day be explained with causal mechanisms. Also, I believe the scientific method allows for a small percentage of outcomes to be purely by chance, by coincidence. To be a recognized causal and effect, the relationship must occur more often than it would by mere chance. Or that is my paraphrase of the situation. Am also a bit skeptical of how the Earth’s magnetic core could possibly impact surface rainfall. Perhaps the magnetic field also changed? Re the Great Lakes water levels, I’m looking into man-made events or structures during the decade or two leading up to 1940. Seems the great depression and public works projects abounded, and the Dust Bowl years right before then, too. I haven’t any experience with evaluating lake levels at the Great Lakes, but it could be the data in that paper was simply wrong and the peer reviewers did not catch it. I have some buddies that live around the Great Lakes and have for decades. I can ask them about this. They may get a good laugh out of it. Mr. Sowell thank you for your comment. As you rightly say, it is difficult to say that the small changes in the magnetic field attributed to change in rotation of about 4-5 ms (from 1940 to 1980) could do much. It is most likely to be the other way around. Atmospheric and in particular oceanic circulation are the largest contributors to the angular momentum exchange as the driver of the rate of rotation changes. I have no idea what might be the unique and critical event (ocean currents ?) for the period around 1940 to cause the reversal. Thankyou for the kind words. There are solar-hydrological relationships in different parts of the planet. For example, in the Murray Basin at one place there is a rainfall response to the Schwabe cycle. With respect to the Great Lakes, I suggest that the strong rise in solar activity itself caused the reversal of the relationship. With respect to the Great Lakes, I suggest that the strong rise in solar activity itself caused the reversal of the relationship. I greatly enjoy these ad hoc reasons that continue to be given when the data does not act as someone’s theory demands … especially vague excuses such as the one given above. David, perhaps you could give an example of some natural system which reverses in phase as a result of increasing amplitude. I can’t think of any offhand … doesn’t mean they don’t exist, but I can’t even cook up a theoretical example in my mind. Why would increasing amplitude reverse the phase? Part of the problem is that people truly don’t understand how the statistics of correlations with a cyclical signal is so different from looking for correlations with a normal signal. I see no sign that David Archibald has investigated this question, although I may have missed it. The result of comparing the sunspot signal to a random ARMA signal of the common type found in nature (high AR, negative MA) is that very often, it appears that there is significant correlation where none truly exists.